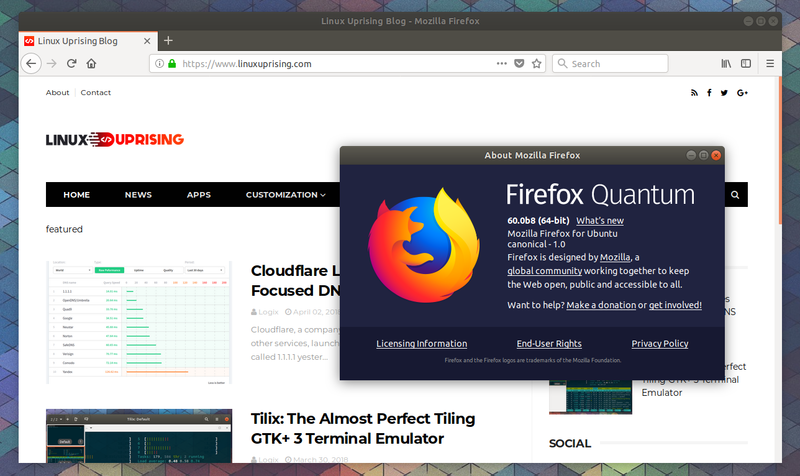 This is a quick guide for how to install the latest Mozilla Firefox Quantum Beta or Nightly (nightly alpha builds) in Linux Mint or Ubuntu from a PPA repository. 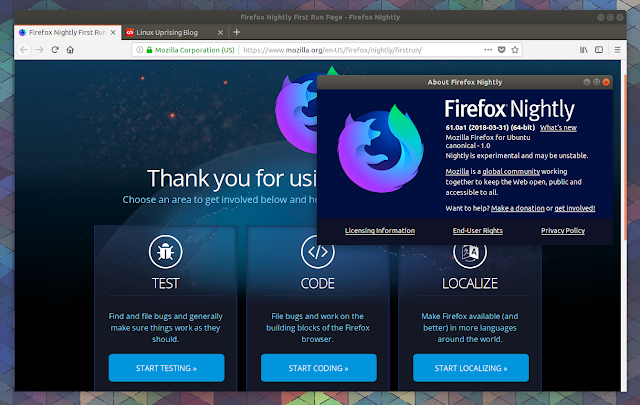 Non-stable Firefox builds are intended for those who want to test new software before it's released with the purpose of submitting bug reports, to try new features, or to test websites in Firefox before a new stable version comes out. That's because it may contain bugs, uncompleted features, or they may stop working altogether. Installing Firefox Beta in Linux Mint or Ubuntu (and any Ubuntu-based Linux distribution) from a PPA will overwrite your current Mozilla Firefox stable installation! If you want to try it without installing it, download the binaries from Mozilla. If Firefox was previously running, Make sure to restart it after the installation completes! Installing Firefox Nightly (Alpha) from its official PPA repository will not overwrite your current Firefox installation. That means you can continue to use Firefox Stable (or Beta, if you've installed it using the instructions above) and Firefox Nightly side-by-side. Not only that, but Firefox Quantum Nightly uses a different profile by default, so it won't interfere with your current Firefox Stable or Beta profile, which includes any customizations you may have done, installed addons, open tabs, and so on. To launch the application, search for "Nightly" in your applications menu.